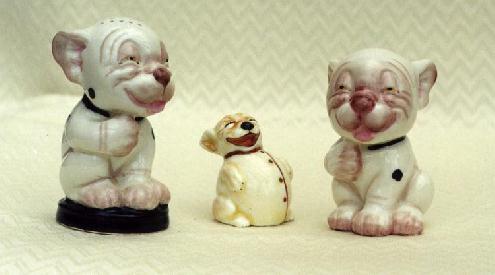 A Royal Worcester Pepper Pot, a Royal Doulton figure, and a Royal Worcester figure. More details on these figures can be found on the Royal Worcester & Royal Doulton page. 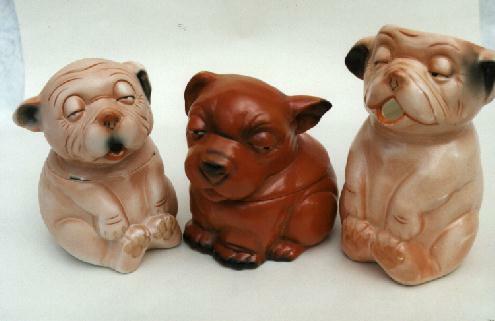 Grafton China produced a series of figures marked Swains Studdy Series, based on some of the Sketch illustrations. 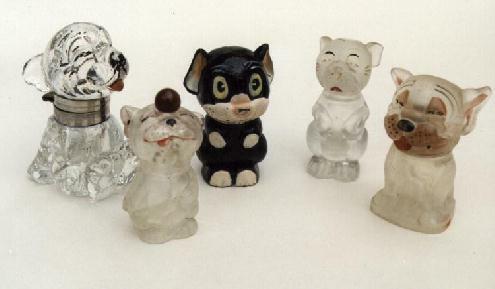 Further details & examples of these figurines can be seen on the Grafton China page. 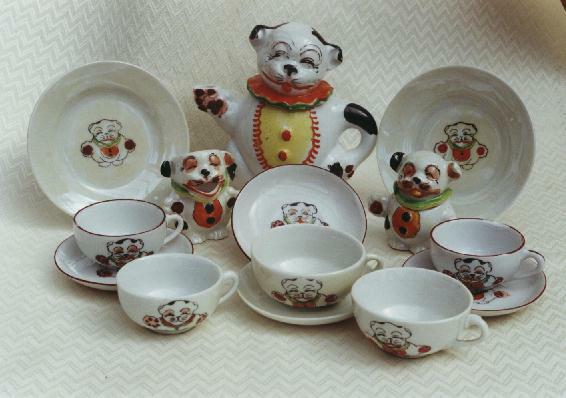 German makers produced a range of good quality chinaware, such string-holders, tobacco jars, and a range of jugs. 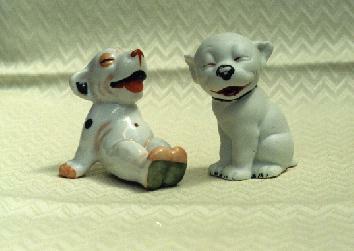 They also produced a range of quality figurines in both glazed and bisque finishes. 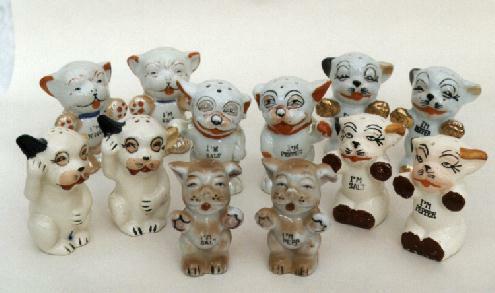 Some of the many Japanese made china figures. 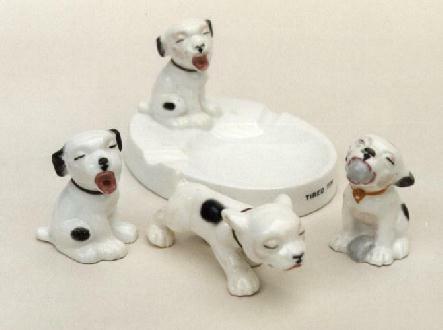 These were usually more crudely painted, and of poorer quality china. Most were made in the 1930's. A selection of glass scent bottles (including Ooloo, centre) and an ink well (top left). 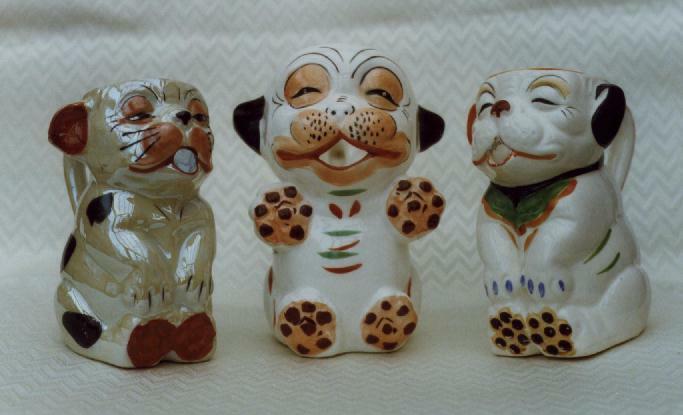 These were made under license in Czechoslovakia for various companies, and usually contained rosewater. You can see more examples of these & other glass items on the Glassware page. Several companies produced good quality Car Mascots. 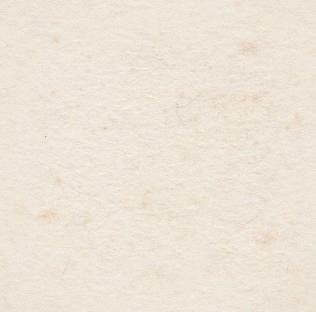 This one is by A.E. 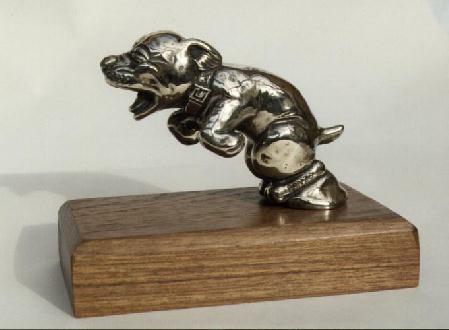 Lejeune, is made of brass, and dates from the late 1920's. See more on the Mascots page.